Victory Medical Spa explains the benefits of Botox. Botox has been recognized medically since the early 1980’s. It has been successfully used in treating muscle spasms, cross eyes, migraines, excessive sweating or drooling, cervical dystonia and overactive bladder. Also, some preliminary studies have shown promise in the alleviation of depression and TMJ. The use of Botox cosmetically was discovered by ophthalmologist, Jean Carruthers in 1987. She was injecting near the brow of a patient who suffered from uncontrollable blinking. The patient asked for other areas of her forehead to be injected because it made her wrinkles go away. The next day Dr. Carruthers convinced her receptionist to try what would become the first Botox treatment for frown lines. The results spoke for themselves and the rest is history. If you are wondering, Dr. Carruthers never did get to cash in on her discovery. After consulting an expert patent lawyer, she was told it did not seem like a good idea and she left it at that. The company Allergen then went on to patent the drug and become the multibillion dollar company it is today. Cosmetically, Botox can help to relax frown lines between the eyes, forehead wrinkles and ‘crowsfeet’ on the sides of the eyes. More advanced techniques involve scrunch lines on the sides of the nose, softening vertical lip lines, turning up the corners of the mouth and smoothing a dimpling chin. Botox is not a dermal filler and it does not fill lines. It works by blocking the synapse connection that occurs between the nerves and the muscles, so the muscle cannot contract. When the muscles are not being used, the skin cannot wrinkle. Younger patients may use it as a preventative for wrinkles occurring the first place. But for those that have deep wrinkles even at rest, the complete resolution of the wrinkles will not happen after the first treatment, although there will be noticeable improvement. This subset of patients must keep up on treatments every 3-4 months and not let the full muscle movement return and eventually the dermis will thicken as collagen naturally fills in the lines. Once this happens, treatment time may be able to be spread out a bit more. In almost all patients, by 6 months all Botox will completely gone. Botox is a purified protein extracted from ‘clostridium botulinum’. Because it is not a live protein, there is no bacteria that can replicate. Also, because it is injected into the muscle and not directly into the bloodstream, the body slowly metabolizes it over the course of 3-6 months. Even if it could somehow enter the bloodstream, the amount that causes symptoms of botulism is thousands of time higher than is used cosmetically. One could argue that it is safer than aspirin. The side effects from aspirin can be as serious as heart arrhythmia, uncontrollable bleeding, and difficulty breathing. Too much Acetaminophen can cause fatal liver damage and excessive Ibuprofen usage can lead to stomach ulcers. Yet we think nothing of taking these over the counter medications. No deaths or serious systemic effects have ever been reported with cosmetic doses of Botox. It’s safety record is remarkable when you consider how many millions of injections have been done over the last 15 years. When injected by an experienced physician like Dr. Gallo, there are very few side effects and almost all of them are temporary. Are you bothered by wrinkles staring you back in the mirror? Does pulling your face back make it look less saggy? Quite often patients think of Botox as a “fix-all.” But depending on the area of concern, dermal fillers such as Juvederm or Restylane are the appropriate choice. It is important for patients to understand the difference between them. What Can BOTOX Do ? Botox can be injected into certain muscle groups to help lift, reposition and soften dynamic wrinkles. Dynamic wrinkles are the wrinkles caused by facial expression which become deeper and more etched as we age. Crowsfeet (those pesky lines on the sides of the eyes), forehead wrinkles and the scowl between the eyes known as the 11’s are all examples of dynamic wrinkles that Botox can treat. Usually these lines are caused by frequent fine motor movements of the face, repeated over many years. The continuous repetition of the above actions causes minor lines and wrinkles to transform into permanent wrinkles over time. This is why many younger patients use Botox preventatively so the wrinkles don’t form in the first place. 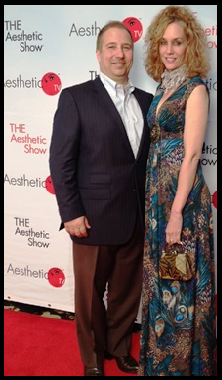 Botox will last anywhere between 3-6 months in most patients and has an impeccable safety record. For those that may be nervous about trying Botox, there has never been even one death reported when used cosmetically. Where as over the counter aspirin products report thousands of deaths each year. Just a little something to keep in mind. What Can Demal Fillers Do? Do you feel your face is melting like a candle or deflating much like a slow leak in a tire? By the age of 35 most of us have lost about 10% of the fat in our face and will continue to lose an additional 10% every 5 to 10 years ! Some of us have lost up to 40% of the fat in our face by the time we are 50. This volume loss is usually quite apparent in the temples and underneath the cheekbones. For thin patients, this can make you have an almost skeletal appearance. For others it can appear that their face has just fallen. With hyaluronic acid dermal fillers such as Juvederm and Restylane, we can plump up the face and put back what the aging process has taken from us. Hyaluronic acid is a natural substance found in your body. The gel like substance helps to bring back a more youthful facial structure. It also brings water to the surface of skin to keep it looking fresh and supple. The result is a natural and more youthful appearance. Cheeks can be lifted, hollow temples can be filled, lips can be plumped, and nasolabial folds & marionette lines can be softened. Longevity of Juvederm & Restylane products can range from 6 months to 18 months depending on the facial area treated. It also depends on the individual and how well they take care of themselves. Neither dermal fillers nor Botox will last as long as they should in someone who smokes, drinks alcohol in excess, sun worships or has otherwise poor nutrition habits. Always do your research and choose a highly trained & certified physician for any type of injections. Ask for before and after photos of their actual patients. Also make sure you are given a thorough consultation and are clear on any recommendations before proceeding. Written by: Kim Campbell, Manager of Victory Medical Spa in Rhode Island. I still remember that day. I was 28 years old and caught a glimpse of myself in the car rear view mirror. I saw something I had never noticed before. There were now these lines around my eyes and a crease between my eyebrows. I had heard about something called Botox that got rid of wrinkles but this was 1997, and I did not know much about it. So I was on my quest to find that miracle skin cream that was going to save me from the aging process. Fast forward a decade, with staying out of the sun, eating a healthy diet, exercising, drinking lots of water and trying every skin cream imaginable with claims of ‘Botox like’ effects, and my face was no doubt looking older and I did not like it. There I said it…“I do NOT like looking old.” I am not a vain person but when I looked in the mirror I didn’t like what I saw and it was affecting my self-esteem. Still not knowing all that much about Botox, I took the plunge and finally did it. Fast forward yet another decade, and I have not looked back. I couldn’t be happier with the results and the fact that keeping up with my Botox injections has dramatically slowed down the aging of my face. You see when you can’t move those muscles as much that create those dynamic wrinkles in the first place, the lines don’t get deeper over time as they will in someone who does not use Botox. Botox has restored my self-confidence in a way that no amount of therapy could ever do. This may sound pathetic to some and I am sure I will catch some negative feedback for writing this but I know many of you know exactly what I am talking about. I envy those who are perfectly content with aging gracefully, but that is not me. For the rest of us, there is no shame in wanting to put your best face forward every day. We dye our hair to hide the grays, wear make-up to look pretty and buy skin creams hoping they can do what Botox does. This is not vanity. This is human nature. If you feel good about yourself on the outside you often feel good on the inside too, which carries over to all aspects of your life. I am not delusional, I know I can never look 25 again but if I can stall or abate the aging process then why the heck not? Botox, along with a healthy lifestyle has made me less intimidated and scared of the aging process. I still can’t believe I will be 47 soon and often get mistaken for being younger. But I am no longer ashamed when people ask me what my secret is. I tell them straight out, “I get Botox” Which they often reply with “But you don’t need Botox”. “That’s the point” I smile and say. Is Botox Worth the Money? Brought to you by Victory Medical Spa. Because the results from Botox are temporary, many people think of it only as a quick fix for a special event or simply not worth the money. But did you know that long term use of Botox can prevent your wrinkles from getting worse as you age? When you keep up on your treatments, you are reducing the muscle movement that causes the wrinkles to get deeper over time. You make facial expressions all day. Whether it be smiling, frowning, squinting or raising your brow. Making these expressions causes temporary lines to show up on your face. When you are younger and your skin has more collagen, these lines go away at rest. As your skin ages and you lose collagen, making these expressions day in and day out causes the lines to worsen and eventually become permanently etched, even at rest. The average price range for Botox treatments in the US is anywhere from $200 to $400 per area. The 3 standard areas being crows-feet (lines on the sides of the eyes), forehead lines and the 11’s between the eyes known as the glabellar muscle. However, many practices will give discounts when treating multiple areas at one appointment, bringing down your cost. There are many factors that determine the cost of Botox treatments. Prices will vary depending on who is doing the injections (ie. physican or nurse ), amount of units needed for optimal results (an older person typically needs more units than an younger person), business overhead ect. A more expensive doctor does not necessarily mean a better outcome but be sure to choose a reputable, well trained and skilled physician. Be cautious about businesses offering online coupons and groupons offering treatments at prices too good to be true. If the Botox is over diluted or you don’t get the optimal amount injected into the right muscles, the treatment will not last very long. Or worse, you could have a ‘botched’ result. If you get the proper amount of Botox for your individual needs into the correct muscles, the optimal result can last 3-4 months in many people. Those who keep up with treatments may be able to go a little longer between appointments as the muscles get conditioned not to move so much. Let’s say your Botox treatment costs $400 and last 4 months. This means that if you want to maintain optimal results, you will need 3 appointments per year, costing a total of $1200. That is a lot of money for many people but if you can set aside $25 per week or $100 per month, it doesn’t seem so bad. Even if you only went every 6 months, there would still be some long term benefit. While these treatments are certainly not a necessity, if you can set aside a little money each month, it is certainly worth it to many people. No face cream, even the most expensive ones, can come close to what Botox can do. Consistent use of Botox over the long term helps keep wrinkles at bay. So if you have found a skilled injector and love the results, and you’ve got some money to spare, then yes, Botox IS worth it. 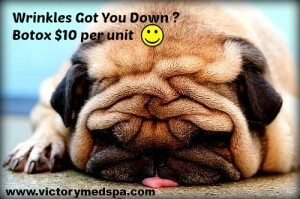 For more information on Botox please visit our website – http://victorymedspa.com/procedures/botox-in-ri/. When choosing a dermal filler, we all want the safest and longest lasting product for our money. A long awaited FDA approval has finally come. Voluma, by the makers of Juvederm, is now the longest lasting hyuralonic acid dermal filler on the market. Clinical studies show the product can last up to 24 months. It has also been safely and effectively used in other countries. Voluma is Juvederms thickest formulation to date and is used to restore mid-face volume loss or fill deep wrinkles. As with most dermal fillers on the market, it comes in 1ml vials. How many vials needed varies per individual. Most patients will need at least 2 vials to start, 1 vial per each side, to see that lift in the cheeks they are seeking. Older patients may need more, depending on the results they desire. Voluma may also be used to fill deep nasolabial folds, those dreaded nose to mouth lines. Due to its thicker consistency, the product is not meant for use under the eyes or for lip enhancement. Juvederm has other formulations that are better suited for these areas. James A. Gallo, MD performs all the procedures at Victory Medical Spa and is the only physician in the area that has been using the micro-cannula injection technique for dermal fillers since its inception over 3 years ago. Since the longevity of any dermal filler is dependent on how deep the product is injected, needle injections can’t even compare. Other benefits of the micro-cannula over a needle are reduced pain, much lower risk of complications and no bruising in most patients. At Victory Medical Spa we are offering Voluma at $600 for 1 vial or $1100 for 2 vials. Other formulations of Juvederm are $500 per vial For more information check out our website at www.victorymedspa.com or call Kim at 401-458-0825 for any questions you may have or to schedule an appointment. 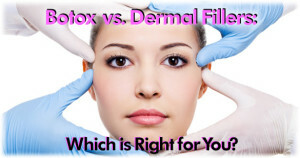 Are you paying too much at your RI Medical Spa for Botox ? As more people search for that fountain of youth to help erase some of the ravages of time from their faces, Botox treatments have become main stream in many areas of the country. Much like coloring your hair every month to cover the grays, millions of women and men in the US receive Botox treatments every 3-4 months to keep up a more youthful appearance. So how do you know if you are paying a fair price for your treatments? At Victory Medical Spa in RI, we see many new patients for Botox who were getting treatment elsewhere. Surprisingly, most do not actually know how much they received previously. They just know how much they paid. Facial anatomy, depth of wrinkles and other important factors will vary among each of us, so we all do not need the same amount of Botox. For a basic example, a younger person on average would need less and a male would usually need more than a female due to stronger facial muscles. It is for this reason we charge per unit. Since each of us is unique, we believe it is only fair to charge a patient for how much they actually need to produce the desired result. For those that are familiar with paying by the unit and know how much you pay, in RI a fair price would range between $10 – $12 per unit. But some medical spas in Rhode Island charge by the area ranging anywhere between $300 to $400 per each area. If you are paying by the area and are curious to see if paying by the unit is a more affordable option, the below calculations are based on Victory Medical Spa’s regular Botox price of $10 per unit. Area One: The frown lines or 11′s which is that scowl between the eyes that can make us look stressed or angry usually costs between $150 -$300 meaning the average person needs anywhere from 15-30 units to get an effective result. Most females can get a great result with 20 units or less, while males usually need more. Area Three: Crows feet eye wrinkles cost runs between $120 -$240 , which means 12 to 24 units depending on the severity of the crows feet. James A. Gallo, MD, a board certified and licensed medical doctor performs all the injections. You can check out our website at www.victorymedspa.com for more info or Call Kim at 401-458-0825 with any questions you may have or to make your appointment. Come find out for yourself why we are the best at what we do with the most affordable pricing around.